Ike was such a little angel for his Studio Newborn Session with Miles of Smiles Photography! It was deja-vu, because not so long ago, we were doing Big Brother's newborn session. They have grown so much, and I absolutely loved working with this sweet family again. Love that they are now a "Party of 5!" Check out all of the cuteness and posing magic we accomplished. Plus, his big sister and brother were so much fun and so sweet! I love the way his session turned out, and the beautiful ART we created for his sweet family to enjoy. 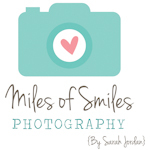 Click here to see what his Mama had to say about her Miles of Smiles Photography experience. So grateful for all of my amazing clients!